The sequel to one of our favorite games of 2015 finally has a North American release date. BoxBoxBoy!! will be coming to the North American Nintendo 3DS eShop on June 30, and just like its predecessor, it will only cost $5. 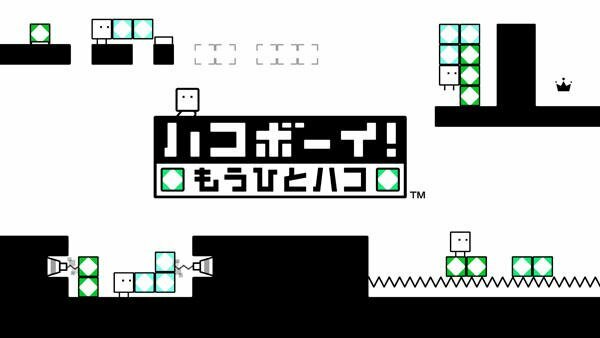 HAL Laboratory stole our hearts with the wonderful puzzle platformer last year, and news of the sequel in Japan made us giddy as a schoolgirl. However, months passed and no news from Nintendo on the localization came to us. Strange because it's a game that relies so little on text, but nevertheless, Nintendo decided to take its time. If you haven't played the original, don't look at me to convince you to buy it. Nintendo has it on sale for just $3, and it will be the best $3 you'll ever spend. Let the game do the talking instead of me. BoxBoxBoy!! is coming to the Nintendo 3DS on June 30.